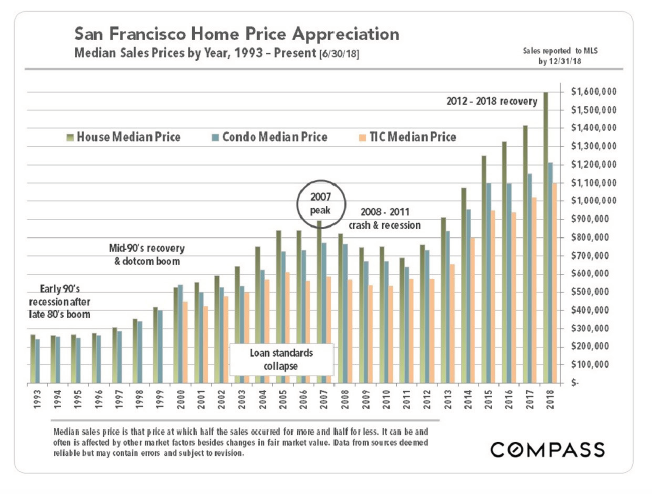 Comparing 2018 to 2017, the median house sales price jumped 13% or $185,000 to $1,600,000 - the largest annual dollar increase ever (not adjusted for inflation) - and the median condo price increased by $60,000 to $1,210,000. 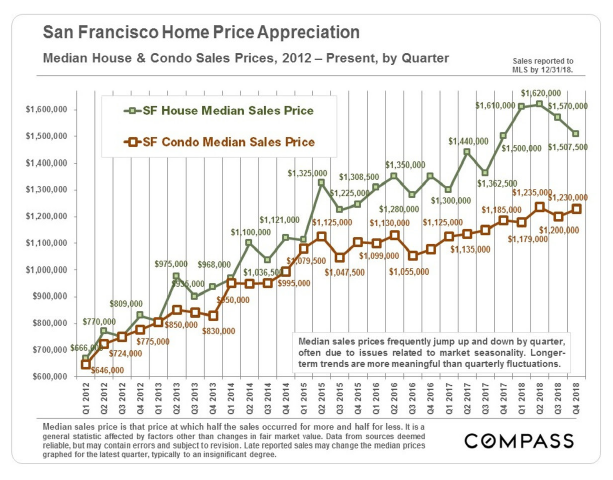 When one breaks 2018 down by quarter, it is clear that the big increases in price occurred in the first half of the year, after which median house sales price dropped. 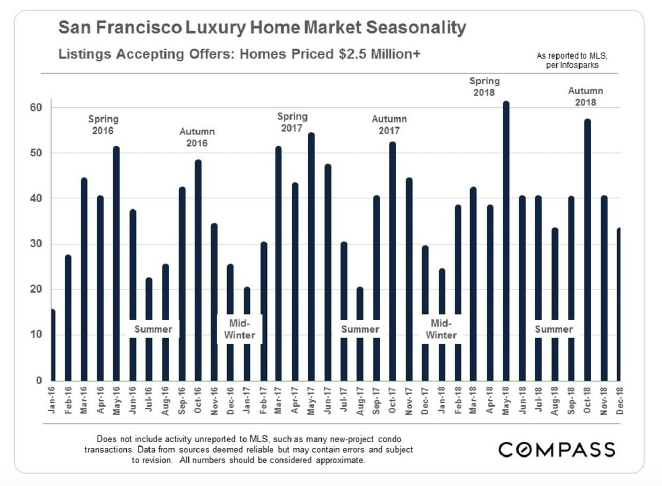 By the 4th quarter of 2018, the quarterly, year-over-year median house appreciation rate had basically dropped to zero. 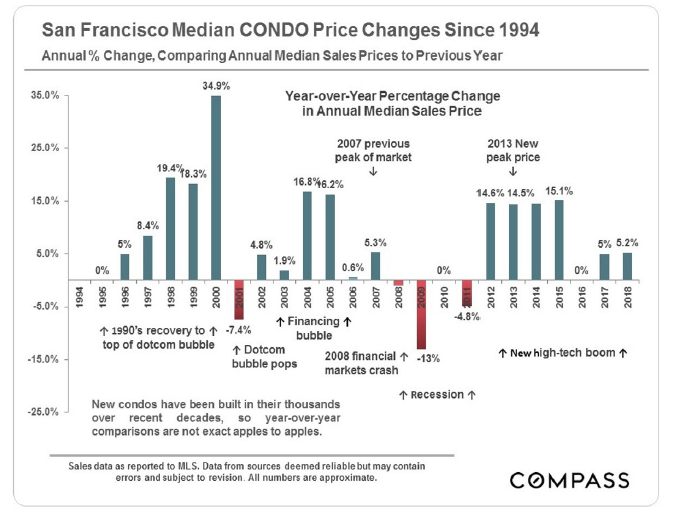 Condo prices were basically flat Q2 to Q4. 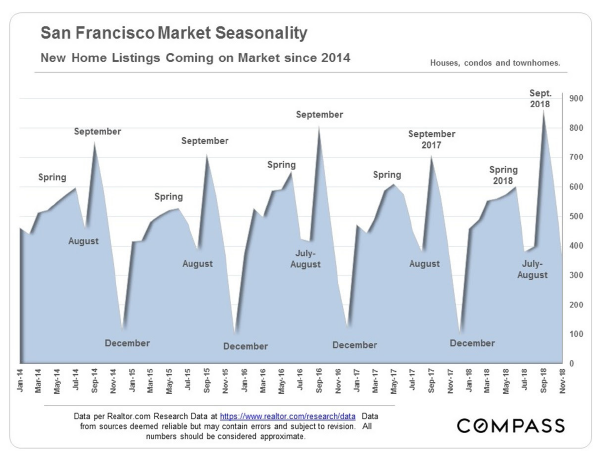 This trend of high appreciation rates in the first half plunging during the second half was relatively common around the Bay Area. 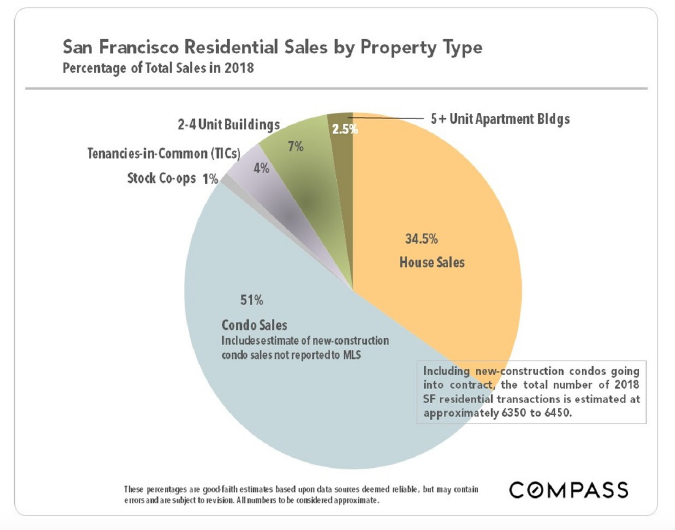 The city has more than 70 neighborhoods, and our tables of median house and condo prices by bedroom count run 6 pages. 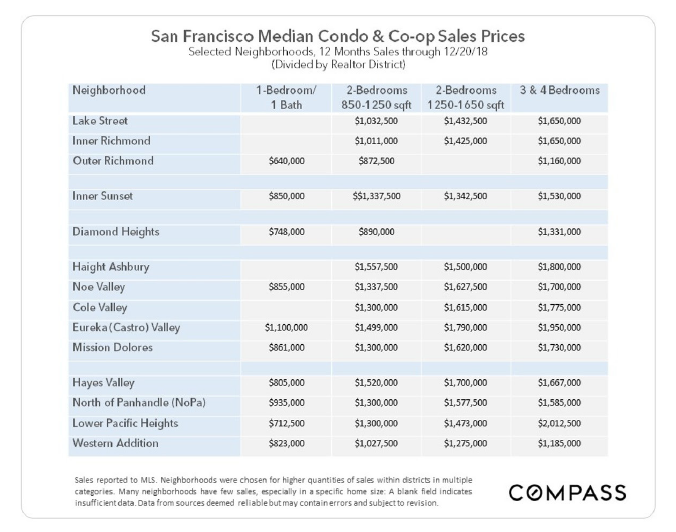 Below the map are 4 tables of selected neighborhoods - let us know if you would like the full reports.